Note: Special Return Policy applies on this product. All rights reserved. All trade names are registered trademarks of respective manufacturers listed. 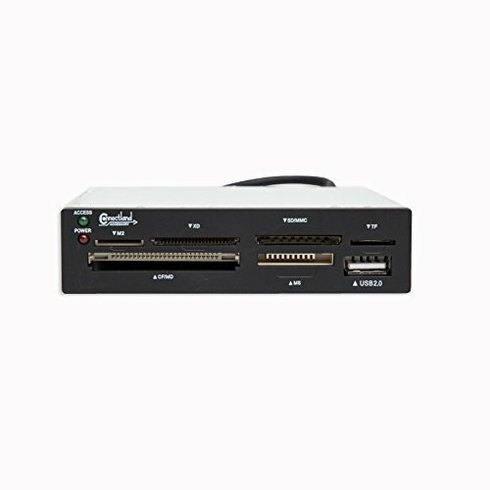 3.5" USB 2.0 Card Reader, 6 Slots with 1-USB Port, 3-Color Exchangeable Front Panels (Black, Silver, and White). Grab this cheap internal 6-slot card reader and you'll have slots for every major brand, size, and format of memory card available. 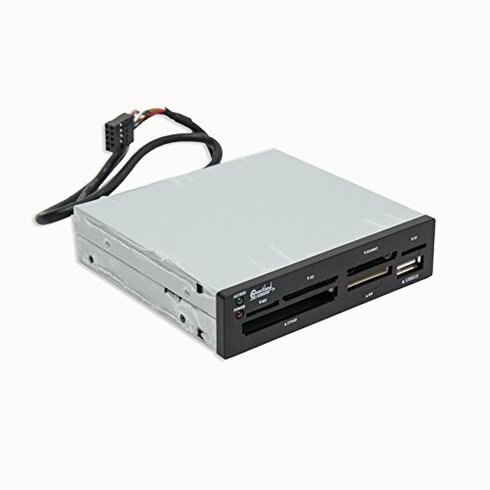 Sized to fit into any standard 3.5" drive bay this drive connects to your motherboard with a USB 9-pin header and includes black, silver, and beige front covers so it will match any computer. Fill your need for a card reader cheaply and effectivly with this CL-CRD20036 Card Reader from Syba. 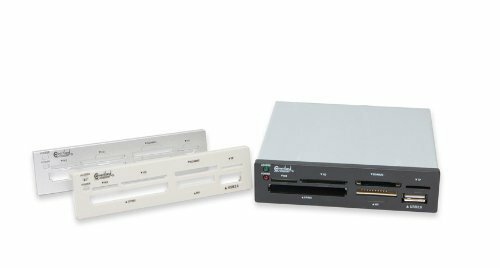 Connectland 3.5" Drive Bay Internal Card Reader, 3 Front Panels Includes (CL-CRD20036). 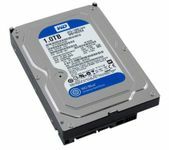 SYBA CL-CRD20036 USB 2.0 3. I ordered this because of the price. Installed it got a power light but it would not see sdhc card. Well this item does what it claims. Fast, efficient, however some cards it refuses to read, and i don't blame the reader i blame the memory card manufacturers. However 99% of all cards read perfectly and i tested each input. Works as described. And yes the red light is always on even when the pc is off. Luckily my antec p182 case has a front cover that i keep closed unless i need to access the dvd drive or this card reader. The fit was as well perfect and the cords were long enough. The black front cover matched my case perfectly. The manufacturer as well responds promptly. The microsd slot as well works. This slot was the reason i bought this over others. It takes a little fidgeting in the beginning though. All in all i have no real complaints and would buy this again. Making the plunge into digital photography from film, i needed easy access to the usb port and card readers for the memory cards in my new camera. This little box fit the bill nicely, nestling easily in an empty 3.5" bay in my computer. The one gripe with this reader is the red power on led. And i do mean red! It wouldn't be so bad if they simply used a red led, but this thing is bright... Like navigation beacon on a 747 bright! I am fortunate in that the design of my case has the face of the reader recessed so the light is shaded, but if it weren't, i'd probably be voiding my warranty on the card reader and clipping the lead to the power on led!Other than that, it is an easy install... Just make sure that you have a nine pin usb header on your main board or usb card to tap into.The additional beige and silver face plates are a nice touch! I stayed with the attached black.A nice card reader for the price! The card reader i received was either defective or falsely advertized. 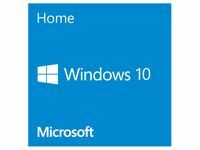 It was supposed to work with windows 7 but only the usb port works. Windows gave it drive assignments but it would not read a card. I emailed the manufacturer's tech support looking for an respond and got a return that "it must be defective". No suggestions or offers to help. If they don't care much about their product; why should i?After searching the web for respond and/or drivers (none for win 7) and finding nothing but comments simular to this, i returned the reader to outletpc. I was looking for a card reader for a 3.5 inch drive bay. I decided on this model due to the price and because no additional power connectors are required. Just a single plug to the motherboard usb headers, some screws to secure to drive bay and done. Only needed the black bezel, but it's nice that you have a choice of common chassis colors. The card reader did great with usb flash drives and sd cards. Would buy again. The item installed ok, windows 7 installed the drivers ok, and it worked fine for the first two tries. Now, however, the sd and micro sd slots do not work even after re-installing the drivers. The compact flash and usb slots still work so at least i have some functionality and the old diskette drive is filled in. Works as advertized. Can't complain. I got sick of having an external card-reader cluttering my desk (and occupying one front usb port) so i bought this internal unit. I've tested cf, sdhc (8gb), and pro duo slots (actually, i don't own a pro duo card, but it works with a microsd card in a pro duo adapter).The device works fine on my computer winning windows xp, and recognizes all 8gb of my sdhc card. Each slot has its own drive letter. Kinda clutters up the "my computer" window, but i guess it allows you to access more than one card at a time (as opposed to having only one drive letter for the whole unit.) the usb port shows up as a new drive letter only when something is plugged into it.I timed the transfer speed of the sd slot, and when using my transcend 8gb class 10 card, it copied roughly 500mb worth of picture to my 5400rpm sata caviar green hdd in about 10 seconds. 50mb/s is plenty fast for me. That means my full 8gb card should transfer in under 3 minutes.As others have mentioned, the cf slot is very shallow, as can be seen in the pics i uploaded. Who cares? How big of a klutz are you that you would bump into the front of your tower and break your cf card??? I guess i'll worry about this about as much as i worry about breaking off my dvd drive tray. My last card reader had a misfortunate accident. So i had to get another one. This caught my eye and it works great. It didnt take too long to deliver as well. The only thing that bothers me about this item is its difficult to put the sd card in its slot but other than that its great! it says it is 4.5 inches wide under the item description, is that a typo? is it supposed to be 3.5 or 5.25? This Syba CL-CRD20036 USB Internal 6-Port Card Reader will fit in any 3.5 inch drive bay, although the actual physical width is more than 3.5 inches.